Or: Don’t judge a book by it’s cover. – Raymond Carver, This Morning. Suffering for my art – yet stoic in the execution of my Festival Chronicle duties I arrived at Swindon Arts Centre in a sodden and sorry state after the third drenching of the day and it was still only midday. I’d been dispatched there by Festival Chronicle HQ to cover the Swindon Literature Festival appearance of Bruce Fogle – and if the name sounds familiar you’re not wrong – but more of that later. Bruce Fogle is a former zoo worker, practicing vet and best-selling writer. Not on the face of it the kind of ‘thing’ that would be high on my list of things with which to engage – I’m not exactly at one with the natural world at the best of times. And especially not after mice in the conservatory, rats infesting the loft and more than the occasional frog startling me in the garden. Or maybe that’s more a case of me startling the frogs. Anyway. 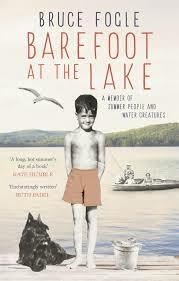 This all goes to prove the old adage about not judging a book by its cover – literally in this case because, despite my trepidation, Mr Fogle’s talk turned out to be an enchanting prequel – his words – to his book Barefoot at the Lake: A boyhood summer in Cottage Country. Speaking in an accent he immediately clarified as being Canadian, Mr Fogle kicked off by apologising for not being his famous son Ben Fogle. He then went on to deliver a slide show that, together with his talk, was a charming transportation back to 1954 and the 10 yr old Bruce holidaying, as he did every year, at the family’s lakeside cottage in Canada: a period that defined his latent interest in, and affinity with, the natural world. As we looked at the slides of lovely family snaps taken in a time and a place that were, by his own admission, idyllic, I was transported back for a short time to my own childhood. Not that I was lucky enough to spend it fishing and generally having jolly japes by a Canadian lake. Very Famous Five! No, far from it. But I grew up in a similar era – that of the late 1950s and early 1960s in a corner of rural Derbyshire which, if you ignored the slag heap and the pit winding wheel on the edge of the village was really very lovely. As Mr Fogle’s childhood was spent in the woods and lakes of his corner of Canada mine was spent wandering across the fields and the country lanes. I used to know the names of many flowers and trees – all long forgotten now that I’m a well-established softy southern urbanite. So it was lovely to be reminded of a softer, gentler, somewhat more innocent time, a time when I wasn’t quite so at odds with nature as I am now – especially on a cold and blustery day in May. Perhaps unsurprisingly on such a wet, windy weekday lunchtime the audience was small and mostly senior. Maybe it’s only the unemployed, the self-employed and the retired that have the time and opportunity to attend lunchtime talks. Which is a pity because this was a delightful, thoughtful and engaging hour with a charming gentleman who, in festival director Matt Holland’s words, delivered a well-told story. A tale of the beauty and bounty of nature and also its awfulness – in the older meaning of that word as being something that inspires awe. Which he did. And were it not for Festival Chronicle I wouldn’t have given it a second look. because we do – and the author of this blog, Benjamin, Twitter: @swindonartsblog – is not alone in having noticed that Swindon is a steaming cauldron of creativity of all kinds: dance, art, music – you name it really – it’s all here. I’ve written about lots of it here on this blog as does Benjamin on his. And he has some great photographs on it too. “Before I left Sydney I was having a conversation with a lecturer of the painting department. Shane and I were talking about the ‘art world’ and what artists do to get ‘out there’. Shane turned the conversation around by saying to me ‘Don’t go to the centre’. What he meant was don’t go to New York or Berlin. I sort of laughed and didn’t think much of it. But it makes sense now.” I rather think that echoes Benjamin’s tagline. And really rather gives the lie to the all too common perception that the only kind of culture to be found in Swindon is that in a yoghurt pot. 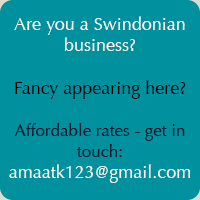 As my regular listeners know, the guest blog posts on Born again Swindonian often occur as a result of interactions on social media. This post though is the exception that proves the rule as I met Mandy, it’s author, via Outset Swindon both of us having been through their programme. Me of course for the setting up of my business, AA Editorial Services. In the course of conversation with Mandy and her husband I discovered their involvement with a community choir and felt it was something that should be shared on here. And I absolutely can’t sing – I only wish I could. My daughter once offered to buy me singing lessons suggesting I look at it as a service to the community. Harrumph! ” ‘I can’t sing’ – the most common reaction received when I suggest singing to people who want fun, more social life and to raise their happiness quotient! My name’s Mandy. I have always loved singing with other people – I am a willing and enthusiastic enjoyer of the shared results. In an interesting twist of fate, my first awareness that a community choir existed in Swindon occurred in 2002. Lots of wonderful, new things started that year…. At the time, my husband Pete and I were keeping an African Drumming Group ticking along in Wroughton. On the particular week in discussion, I happened to be away. After the session, Pete (who had always laughed at me because I can hardly hear a song without adding a harmony) said that I would have loved the events of that Wednesday evening. A young Polish man, doing some “WWOOFing” (Working Weekends on Organic Farms) at Lower Shaw Farm, had joined in for the evening, asking at the end of it if the group would like to learn a harmony song. Being the agreeable types, they did exactly that. I was very glad that the following week, Pawol turned up again, drummed a smile onto his face and went on to share a song with us. ‘You like harmony sing?’ he asked. Oh boy, did I. “You know there is a choir at Lower Shaw Farm?” How on earth did I not know that? It’s on my doorstep. I love the farm. Yet, this young man came all the way from Poland to an African drumming group to tell us that a local lady called Linda and her husband, Martin, not finding the desired choir, started one up themselves. Funny how it works, sometimes, isn’t it? The group has grown and grown, moving from place to larger place and branching out to a Tuesday afternoon group at Lower Shaw Farm as well, singing eclectic songs old and new and from the world over. Well, we are still there with the group – and extending the reach of the joy of A’cappella (voices-only) singing. Linda and Martin have shown us the ropes of leading groups and we love it. Repeatedly, we see people come in, looking for an outlet for their voice – and often wondering if they will be ‘good enough’ (everyone is; this is for fun, fun, fun!) and going away smiling. They are invigorated and usually more energetic than when they arrived. There is a crazy idea around that a ‘singer’ is already publicly renowned or has to be good enough to be so. One idea suitably scuppered, then! Swindon Community Choir has over forty smiley singers turning up on a term-time Monday night. (www.singtastic.co.uk). We meet at the Central Community hall, in Emlyn Square, in the famous Railway Village. The free car park is very well-used and the art of triple-parking has become the group’s knack! The bus stops just at the corner. We have had singers as young as 9 and well into their 90s. Let’s have some centenarians! I love meeting people and discovering their loves, their ambitions and drives – and the amazing richness of past experiences. The Monday morning drop-in, facilitated by our Community Engagement Worker, Kati Wood, is a great place to indulge that love. In discussing my own, people asked us about what we do (‘we’ being Pete and I). “Can you run a choir here, for us?” Well, all things are possible if you really want them to be…. Kati stepped in quickly and told us about the ‘New Shoots” grant that’s available for local group activities. Our local Swindon Councillors waved the magic wand. Today, I am glad to announce that in April, on Thursdays 23rd and 30th, there are opportunities to experience this for oneself, free of charge, between 10am and 12pm. Oh listeners, I do love a bit of urban discovery as evidenced with my travelogue on the West Swindon sculpture trail and the subject of this post turned out to offer some nuggets of urban discovery. When I say ‘discovery’ I do of course mean new to or previously unnoticed by me – not that they’ve been seen by no-one before ever. I’m referring to the Richard Jefferies Old Town walk which is a trip round the eponymous area of Swindon taking in buildings and spots that were known to him. I did this walk last week with @swindondriver AKA Jess Robinson who took the photographs. I’m going to break the walk up into two separate posts as there’s a lot of it and it would be a VERY long post otherwise. Possible location of the bakehouse and shop? 3) On the right stands what is left of Holy Rood Church. The gates are locked but if the key is obtained you may see the box tomb of Richard’s great grandfather Richard (1738-1825). Richard was baptised here. Not that I have any idea from whom or where the key is obtained – one assumes it still cam be. So that concludes the first half of the Richard Jefferies Old Town trail. The rest of it will be covered in a further post. For more information on Swindon’s Old Town visit: Swindon Web history of Old Town. 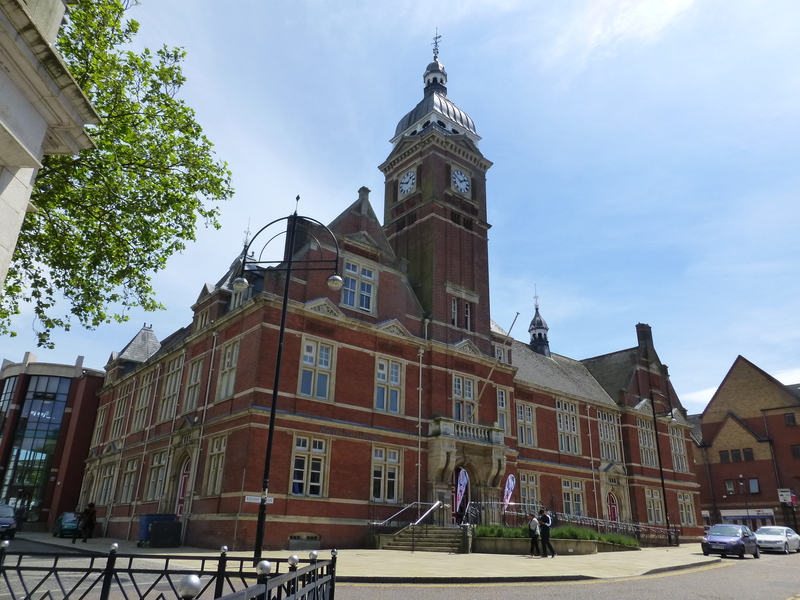 There are lots and lots of reasons why we can be proud of Swindon – many of which I’ve posted about on this blog as regular listeners will know. Starting with the obvious, there is Swindon’s multi-faceted industrial heritage. Then of course there’s all the public art about which I’ve banged on ad nauseum, the host of parks and green spaces and the bewildering range of artistic talent that Swindon hosts. And much, much more. But now listeners I’ve discovered a new reason to be Swindonian and proud: Swindon Dance. Well, when I say ‘discover’ – I should perhaps refer to Mary Louise Pratt who I believe, in ‘Imperial Eyes’, describes the ‘anti-conquest’ which she defines as “the strategies of representation whereby European bourgeois subjects seek to secure their innocence in the same moment as they assert European hegemony” . Or – put another way – when we Europeans went stomping around the world claiming and naming rivers, rocks, islands, and countries for King, Country and Empire we weren’t actually ‘discovering’ anything. Because of course ‘it’ (whatever ‘it’ was) was already there and well-known to the indigenous populations without whose help we Europeans might never have ‘discovered’ anything much at all and which we then proceed to steal from said indigenous peoples dressing it up as we did so in a discourse of scientific discovery. So it is then, in that vein, I’ve recently discovered – or, to be more precise, learnt about – Swindon Dance – who are lovely folk of discernment and intelligence being fans of this blog. 😉 They invited me to visit them to do a post about them – an invitation I was delighted to accept. It’s taken a while with illness and various domestic crises getting in the way but at last here we are. The lovely Lizzie sent me lots of fab information which is way better than my scrawls so, with no further ado, dig out your leg warmers and prepare to be, as I most certainly was, duly illuminated! For a start it was news to me that there’s a 100 seat theatre in the old town hall which is the home of Swindon Dance. Nor did I know there was a mural in the building painted by one Carlton Attewood of ‘The Watcher’s’ fame. Swindon dance is a registered charity that operates as a not-for-profit dance organisation dedicated to creating and developing the dance, dancers and audiences of tomorrow. Swindon Dance is firmly embedded in the national dance sector and has a 35-year track record and national reputation for providing high-quality dance training in Swindon and the south-west. Their expertise in dance along with a focus on participation and access has ensured that they facilitate quality dance experiences for anyone willing and able to take part. A programme of community classes for all ages and abilities in Jazz, Ballet, Tap, Urban and Contemporary. Both amateur and professional performance opportunities to dance artists via our unique 100-seat theatre. Artist and talent development in the form of mentoring, networking, career-training and space provision. More in-depth dance development for young people, as one of nine Centres for Advanced Training (CAT) in the UK via our Youth Dance Academy (YDA), which is funded by the Department for Education and has the only YDA Urban stream in the country. Numerous opportunities for our YDA students to work with new and current professional artists, including award-winning hip-hop group Plague, internationally acclaimed choreographer Russell Maliphant, Matthew Bourne protégé John Ross and award-winning, rising star Aakash Odedra. Opportunities for primary school children to experiences ballet as one of five organisations working with the Royal Ballet School on their primarySTEPS programme. As a charity, SD are committed and dedicated to our vision for anyone to access high-quality dance development, regardless of age and experience, economic, social, geographic or physical disadvantage. As a result of our vision, we have seen dance change lives time and time again, including those who are over 60; those who never stopped wanting a purpose in life and an opportunity to learn, grow, create, achieve and contribute. Are these not great reasons to be proud of Swindon Dance? Our Youth Dance Academy (YDA) is funded through bursaries by the Department for Education, as a Centre for Advanced Training (CAT) for exceptionally talented young dancers aged 11-17 years. We are one of only nine centres in England, providing access to 100 plus young students across the South West. YDA is the only CAT providing an Urban stream in the whole of the UK. Swindon Dance is one of only three places outside London providing the Diploma in Dance Teaching & Learning for Children & Young People (DDTAL), as one of the first registered centres and training providers for Trinity College London. We are one of five UK centres working in partnership with the Royal Ballet School through their primarySTEPS programme. We are have been funded by Arts Council England and Swindon Borough Council since 1979. Annually, we have some 19,000 attendances by children and young people at 1,300 dance activities led by Swindon Dance. 50,000 people come to our events, classes and performances each year. Longest standing resident producer of dance events for an area serving a population now exceeding 3 million as the only dedicated dance theatre space in Wiltshire. One of the few dance organisations left in the UK that is building-based. Early careers that have begun at or been supported by Swindon Dance includes Yael Flexer, Wayne McGregor, AMP, Motionhouse and, more recently, James Wilton and Protein Dance, among many others. Matthew Bourne and Russell Maliphant both presented early work in our theatre. A diverse range of artists have also been supported through our partnership with The Association of Dance of the African Diaspora (ADAD), including: Brenda Edwards, Jonzi D (Artistic Director of Breakin’ Convention) and Bawren Tavaziva. Other artists, including filmmakers, musicians and videographers, have also been nurtured through multidisciplinary arts at Swindon Dance, including Barry Ganberg (composer and musician and now head of music at the Rambert School of Ballet and Contemporary Dance), David Yates (director of a number of the Harry Potter films) and Rannel Theatre Company (who have just finished a sell-out show at the Tobacco Factory, Bristol). Our YDA has nearly 5 times more BME students than the national average (22% in comparison to 14.5%), based on 2011 Government figures. Since 2006, 96 dancers from the YDA have gone onto full-time training at vocation college &/or a conservatoire. In 2012, the Swindon Dance CAT achieved 100% success rate for students auditioning for entry into vocational training &/or conservatoires. We are a National Portfolio Organisation, funded by Arts Council England (ACE). We have been funded by ACE and Swindon Borough Council since 1979. 30,000 people come to our events, classes and performances each year. 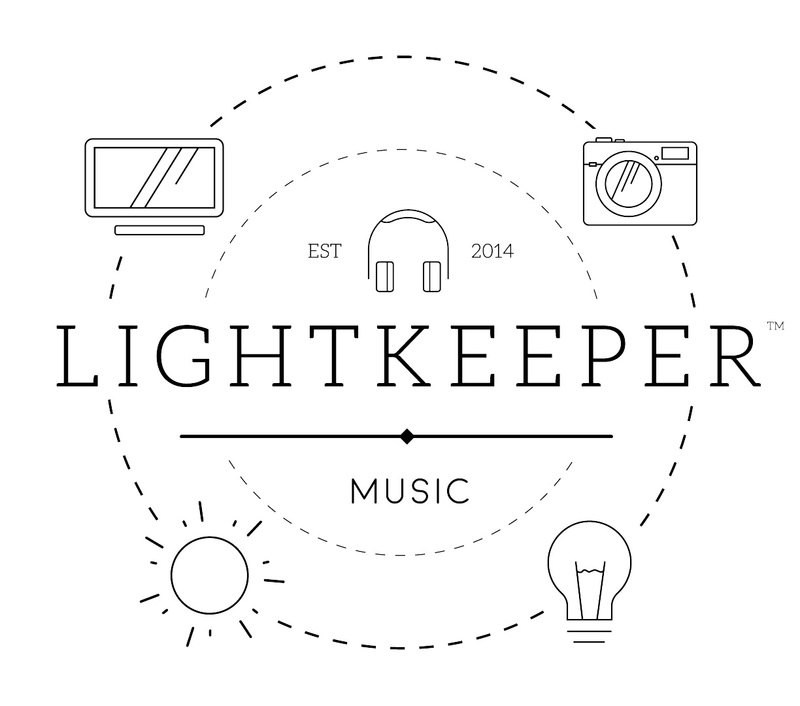 “Lightkeeper Music is a music blog and YouTube channel. I love music so much, both performing and listening, so I thought I would make this blog and YouTube channel to share that love. New, old, unsigned or signed: all will be featured. Any genre too. The blog is there for people to read up on music and the YouTube channel is there for people who enjoy visual content. You could even visit both of course! I have plans for there to be a range of content and series such as Saturday Sessions, Spotlight On, charts and Throwback Tunesday. I absolutely LOVE a miniature train – of any description – they evoke something so visceral. Whether they are ones you sit astride or the ones you sit inside. In fact – extending the genre – wherever there’s a miniature train, a funicular, a monorail or even a cable car – I have to go on it. I’m not entirely sure why this is. Perhaps it stems from childhood holidays in Butlin’s chugging round the campsite on Puffing Billy. Maybe it’s connected to being of a generation that can remember ‘proper’ trains with carriages, corridors and sliding doors and windows that opened so you could lean out and get soot smuts on your face. And the wonderful artwork and the luggage racks overhead in each compartment. Oh those were the days – before Dr Beeching came along with his metaphorical axe and the car became king. Or it could simply be because my inner-child is not just alive but positively flourishing. Mostly likely it’s a melting pot of all those things. So listeners, imagine my unadulterated joy when, shortly before Christmas, I espied the new Hooter Express in Swindon’s Outlet Centre. I was so excited I can’t tell you. I managed to get my first ride on it just a week or two back and yesterday I went to the Outlet Centre to chat to Shaun Gisbourne and the rest of the team that look after the Hooter Express to find out more about it. Negotiations to install the train began in July 2014 and it began its service on the 12th December 2014. 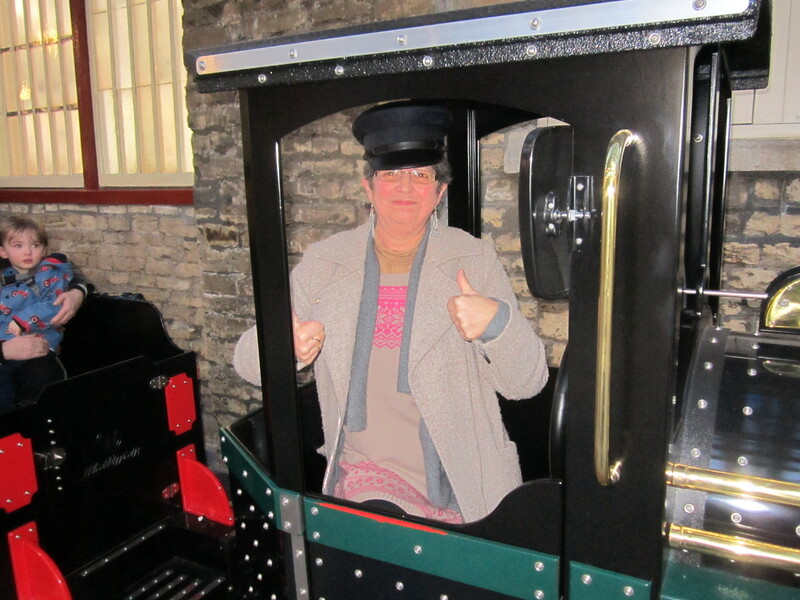 In the short time the train has been operating it’s proved to be very popular with both the young and the young at heart – just last Saturday they sold 300 tickets. Brunel himself would be proud I’m sure. Of course there are miniature trains like this one up and down the land – in parks and on promenades and piers. But it’s especially appropriate that there’s one in the Outlet Centre. It’s the most perfect addition to the building that is, in and of itself, a fabulous homage to the railway industry that pulsed within its walls and was the lifeblood of the new Swindon that grew up around it. As Shaun, one of the drivers, explained, the train has purposes beyond being tooting good fun and an attraction for children. It serves as a terrific way to get an overview of the stores. In much the same way as an open-top bus in a new city gives an overview of its attractions so it is with the train – only it’s what might catch your eye in what shops and where they are. It’s also a useful way of gauging the attitude and approachability of the personnel in the shops – the ones that engage with the train and its cargo of shoppers as it does its tour around the centre. Having got the Hooter Express to a great start the team are not being station-ary and are on track to develop the attraction. A station for the train is already under construction for starters. There is also talk of introducing another stop about halfway round so one could either have the current round trip or do a one-way trip to get you closer to the car park exit. Indeed they’ve already had feedback to the usefulness of that from less mobile users of the centre. Additionally they are looking at introducing some sort of season ticket or bulk ticket purchase discount – the finer points of that are begin worked on. They also hope to form links with some of the businesses in the Outlet Centre. I should point out at this stage that discounts are already available for nursery’s, creches and groups of special needs children. Just ask the team. Above all though, Shaun and the guys have made improving passenger experience their Raison d’être. Look and learn FGW – look and learn. They want families to find them approachable and they do visibly work hard at that – there’s much encouragement at getting passengers to wave to the shoppers they pass by on their journey. Something that most people respond to which is kinda wonderful. So far as I can see all that is missing from this delight is some sort of suitable livery for the drivers. At the moment there’s a plain chauffeur’s type cap that is far too small for anyone. Perhaps overalls, peaked cap and a knotted scarf in the manner of Casey Jones or ‘Perkins’ from a recent Dr Who episode? And surely there needs to be a whistle blown and a flag waved when the train is about to set off – just before it toots its hooter. And oh – how about this – there’s a larger version of this sort of train that runs around Disney theme parks. And as the passengers are boarding the train a message can be heard: ‘All aboard the Disneyland Express. This is the last call for the Disneyland Express’ – and then the train whistle sounds. Something similar to that would be really cool!